I ever tried use this resolution,but the result is not totally satisfactory. 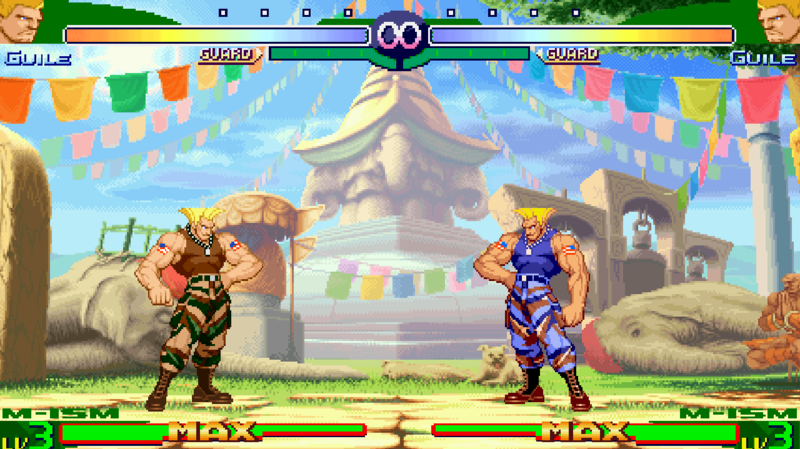 Now I use the Capcom CPS2 native resolution that's 384,224 for the screenpack/mugen.cfg/system.def and chars, the stages I put on localcoord 384,220 to gain size for the characters, like that I get the widescreen sight on my PC without pixelation or stretched chars or flattened chars, they look very fit at the size. Using my hint you will get solve the stage issues and creating a fake widescreen with great quality. 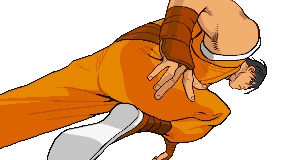 I find out this resolution looking for an option to remove the side black bars on my mugen and simulating a widescreen without so twisted stuff or stretched. I know exactly what you wanna do, you don't need resize the portraits, just put this resolution and them will fit perfectly to screen dimension. More questions just lemme know that. You know... It just kinda dawned on me.. You can pretty much replicate Alpha 3 to the T now, correct me if I’m wrong? 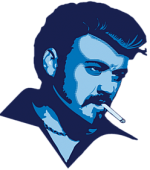 Unless, deadset on using mugen. It would make for an interesting experiment at the very least. Animated portraits could be done with ease, all the intro/dialogue stuff. The press start/join/coin stuff. Continue count down. Score system. Dizzy/guard bar. Most, if not all of the extra modes. I’m sure the ism selection could be done as well. Never tried it, but similar things have been done. 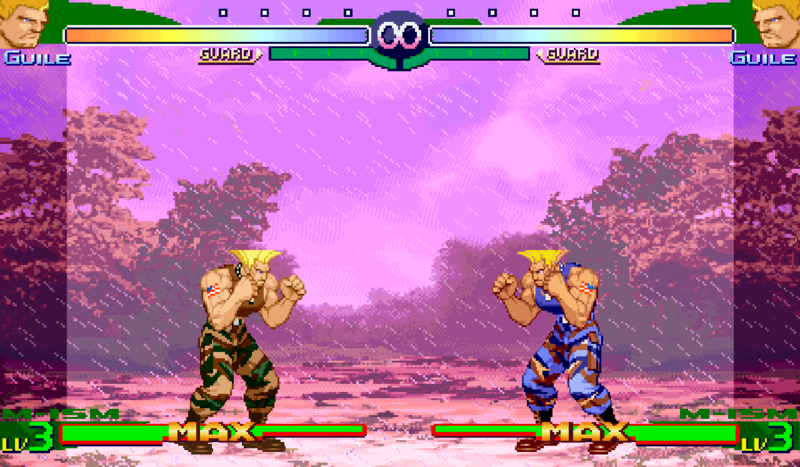 It goes beyond making a simple mugen game though, it’d be a lot of work. Still, compared to yesteryear so much progress has been made, a lot more is doable with less workaround. You could always take cues from Alpha 4. Just to put the thought in peoples heads, those interested in full games anyway. Someone pointed out, there is already an HD SP, less work, but could always be improved on. I'm not trying to make this accurate from the original game but I still need to get the portraits and intros but their nowhere to be found. But anyway, I'm just trying to put my own spin to it, trynna make it better than the original game because I don't like the ism crap. YOOOOOOO!!! HOW DID YOU DO THIS?!? Not really to be accurate to the original, just that you can make it more like an actual game. I know someone else started it(Alpha4), but its long dead now. Back when they first started it neither ikemen nor add were as far along as they are now. The dizzy/stun/guard are all automated now, which is like a 50% workload cut. The animated portraits, you don't need to do the cursor trick anymore. Basically, this could be looking super official. Whenever I say "Like an actual game" people would be confused that it isn't a retail game. The portraits are all over the web and if you were serious about making this well.. not a compilation. I'm sure someone would be interested in helping you. The dialogue/intro/ending stuff can all be made in Photoshop etc. Gawd, no one makes endings anymore so I can only spam my example. I tried to remake this style of ending, just as an experiment, I did it all through Ikemen though. The point I'm always trying to make... It can be done. The double team? Well, I've watched that movie way too many times. I'd been trying to learn how to make these double teams for over 6 years. Trial and error. No secret. Just effort. For this stuff, your imagination is what limits you. There's people doing way more impressive stuff. If the flashes are happening while you do supers it's because the sprites in the .sff are using the RGB method. The easiest way to stop that is to re-add the sprites without rgb. Thanks. I just want to flashes to fit, If it can't fit, just removed it. Deeply appreciate it. I will post a link of stages whenever I can.